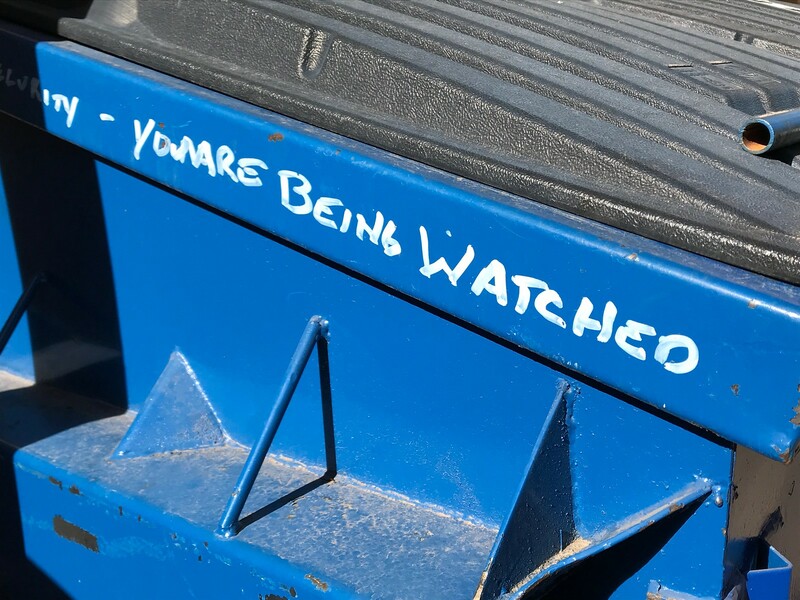 Dumpster surveillance. I dig it. Although pretty sure "you are" is two words and doesn't have a 'm' in either?